After their hurried escape from the Drake Mountain Facility, Isaac and his group stumbled upon a farmhouse in a secluded valley. It's what they've been looking for. A place to make their home, both now and in the future. Can it be so easy though? 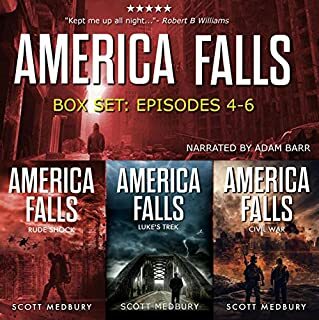 Danger is coming, and only time will tell if they have found the salvation they've been seeking or if their dreams will be crushed, leaving them to the same fate as all of those that died before them. 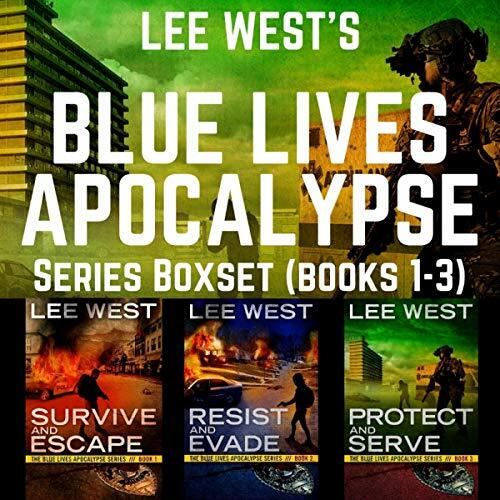 The entire Blue Lives Apocalypse series in one bundle! 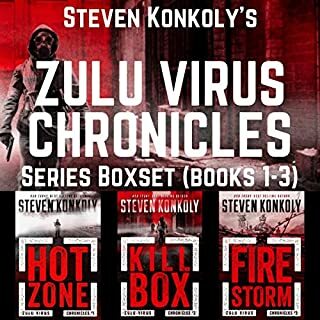 Plenty of post-apocalyptic action and suspense. Sam and Jane Archer walk out of a backcountry hiking trip into a living nightmare. Their car is vandalized and dead, along with every other vehicle in the trailhead parking lot. 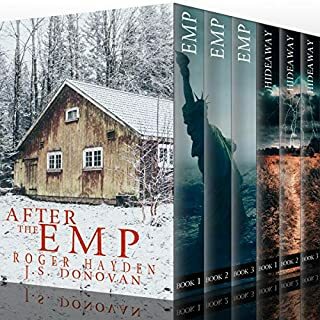 Unable to get a cell phone signal and spooked by a threatening encounter, they resign themselves to a long hike home, suspecting a possible EMP attack against the US. What they discover along the way shakes them to the core! The electrical grid has been down for two weeks, plunging the world as they once knew it into complete chaos. Citizens live in helpless terror of violent gangs - the police hunted down and killed on sight. Food and essential resources have dwindled to nothing, taken by the wild bands of marauders that have risen from the collapse to murder and plunder at will. 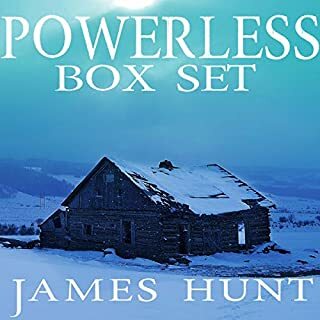 Little hope remains, as Jane, a local police officer, and her husband, Sam, a military veteran, start the harrowing journey home to save their only daughter, Lea - before she is consumed by the madness - and help the communities retake their homes from the criminals who have descended upon them. The story just drags on. I tried desperately to finish it, but I just couldn’t. I close to channel surf the radio, it was just that bad. Prison break is great plot. The story line was interesting and different approach for an EMP. Over all the writing was good but boarded on hammy at times. 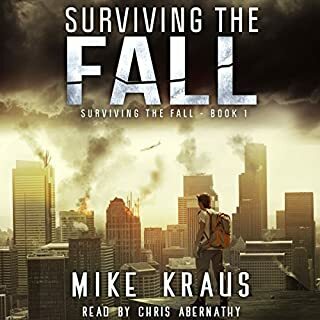 The weakest part was the narrator. Too many accents and too emotive in the wrong place. Not enough to stop me from finishing the series. 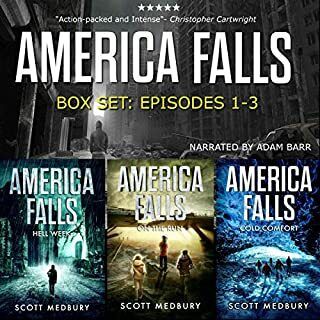 I have read several post apocalyptic books and each one has had its own unique story line with the main disaster being an EMP. The prison was good change of pace. This was very hard to make it three chapters in before calling it quits. I really tried to enjoy it but it seems to be written at a high school level. I don't expect post apocalyptic literature to be high art but this book was the dregs. Save your money and buy something else.